Beginners III Italian – This course covers additional grammar, vocabulary, new phrases and expressions. Students will continue improving their listening and speaking skills through videos cultural/geographical presentations and translations including dialogues and role playing. Grammar coverage includes: past participle, direct and indirect object pronouns, partitives and expression of quantity, adverbs, reflexive verbs and reciprocal reflexives. PREREQUISITE: ITALIAN BEGINNERS II OR CONSENT OF INSTRUCTOR. Advanced III Conversation Italian – (Focus on culture, art, food and travel)… requirements, prior knowledge of advanced Italian. Student must have completed Sentieri (or equivalent) to at least chapter 10, and be somewhat fluent in the language. In this class aside from completing and reviewing various exercises from Sentieri’s text and workbook, we will focus more on everyday conversation, verb usage, role-play common situations, view short films, read poetry,listen to music,and learn about the history of foods and wines… including some informal cooking demos in class! PREREQUISITE: KNOWLEDGE OF ADVANCED ITALIAN. Advanced Conversation Italian – Students will build conversation skills through focus on interactive class exercises and participation in local cultural events. The class will focus on various themes, for example restaurant, transportation, shopping and many more. The teaching style is based on the various media such as, magazines, television, film, etc. We will concentrate on pronunciation (so you will sound like a native speaker), work on basic questions and answers, compose phrases, and learn about travel through various regions in Italy. We will continue to explore the culture of Italian lifestyle, food, history, etc. We’ll also continue our studies of verb conjugations, pronouns, adjectives, and grammar. 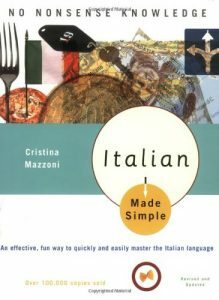 We will resume from Chapter 13 of “ITALIAN MADE SIMPLE”, with some review, and also include interactive fun class activities! PREREQUISITE: This is a level III course, so some prior knowledge of the language is required. Sentieri books are used for Intermediate II through Advanced classes. Please keep in mind the books are very expensive. Casa Italia does not sell the book. Sentieri Second Edition Book is required at additional charge for Intermediate II through Advanced classes. Visit Sentieri to purchase Sentieri book. Casa Italia does not sell the book. 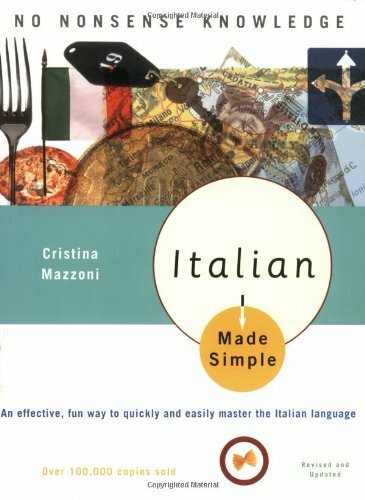 Italian Made Simple: Revised and Updated 2nd Edition is required for the Italian for Beginners and Travelers, and Intermediate II Italian. Visit Amazon to purchase Italian Made Simple. Casa Italia does not sell the book. Call the Casa Italia office at 708-345-5933 Ext. 2 for details on the book for the Beginning I class. * To qualify for the early registration discount, your registration form and full payment must be received by the office no later than January 26, 2018. Registrations sent by mail will be accepted if post marked by January 26, 2018 – no exceptions. BOOKS are at an additional fee.